All were delighted with the verses, and the guest, in particular, was so much impressed by them that she begged Mr. Livingston to let her have a copy of the poem. He consented, and made a copy in his own hand which he gave to her. On leaving Locust Grove, when her visit came to an end, this young lady went directly to the home of Mr. Clement C. Moore, where she filled the position of Governess to his children. The above is all that I remember positively as having been told me by my grandmother. I heard this spoken of by Mrs. Griswold after I had reached years of discretion (20 years). [About 1870, based on Mary's birthdate about 1850] She spent the latter years of her life at my father's home at Poughkeepsie, where she died in 1881. Henry Livingston lived very near the home of his first cousin Judith Newcomb Livingston, who was married to John Moore. Moore was the brother of Rev. Thomas Lambert Moore, who was married to Clement Moore's aunt, Judith Moore. John and Judith had a daughter Lydia Hubbard Moore, who was married to Rev. 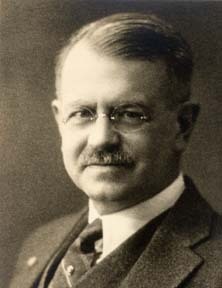 William Henry Hart. Lydia and William's children were all born in Richmond Hill, Virginia between 1816 and 1829. Their eldest child, Frances Livingston Hart, married Rev. Clement Moore Butler, the brother of the Harriet Butler of Troy NY who took the poem from Moore's home to be published in the Troy Sentinel.